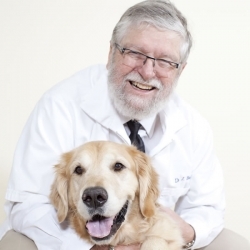 Dr. Baillie, he says, is "still in his first job", Cedar Pet Clinic; he is the co-founder of Cedar Pet Clinic in south Minneapolis, and the founder of Cedar Pet Clinic Lake Elmo. Dr. Baillie has been the president of the Minnesota Veterinary Medical Association, and in 2015 was named the state Veterinarian of the Year. He is active in many professional organizations, and a supporter and mentor to young professionals. Dr. Baillie is a regular lecturer at the University of Minnesota School of Veterinary Medicine, for the Minnesota Medical Association, and other organizations. He provides free care for nursing home companion animals and is the kennel veterinarian for the Minnesota Horse and Hunt Club. The Baillie family animals are Golden Retriever “Joso”, German Shorthaired Pointer “Ellie”, and cat named "Wheezy", a rescue who started life with respiratory problems, and now lives with the Baillie family. 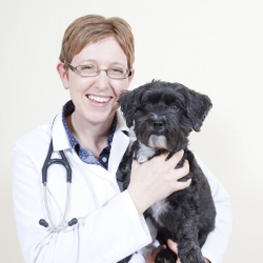 Dr. Plantz has been associated with Cedar Pet Clinic since 2000, when she started work in Animal Care at the south Minneapolis location. “I lived a block away from there, and got off the bus right by the clinic every day. One day I just stopped in to volunteer, and they were hiring. I cleaned kennels, held patients, and did feeding and cleaning for boarding animals.” Dr. Plantz decided on a veterinary career at a young age, when she spent a summer bottle-feeding a litter of orphaned kittens. “My first cat, Tiger, was one of those; I had him for 19 years.” Dr. Plantz speaks on veterinary careers and exotic species care to vet and pre-vet students at the University of Minnesota and University of Wisconsin-River Falls. She has a particular interest in veterinary dentistry. She has a cat, "Lucie". 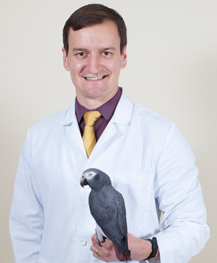 Dr. Olson’s first job after graduation from vet school was for Dr. Baillie at Cedar Pet Clinic. “I’m one of those nerdy people who always wanted to be a vet. What I love is that you have the opportunity to use science and work with people; fun things like puppy exams, the surgery, the variety in animals in a practice that includes so many exotics. There are always new developments, new techniques; the field is constantly changing and updating itself, and we have the challenge of staying up to date with it.” Dr. Olson has had guinea pigs – “I love pigs”. Her current pets are a Yorkie-poodle cross “Angus” and a Bichon Frise-poodle cross “Echo”. “We went for one dog and came home with two”, she laughs. 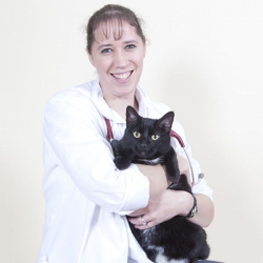 Dr. Keller was first associated with Cedar Pet Clinic in 2005 as a veterinary assistant. Knowing that she wanted to further her career in veterinary medicine, she attended veterinary school and is a 2014 graduate. Dr. Keller loves all aspects of veterinary medicine, but has a special passion for senior wellness and pain management--incorporating rehabilitation and acupuncture into comprehensive senior care. When she is not working in the veterinary capacity, she enjoys baking, crocheting, and relaxing with her “fur family”--two rescued Coconut Retrievers, “Bruce” and “Clark”, and cat, “Spud”. University of Minnesota College of Veterinary Medicine, 2015. 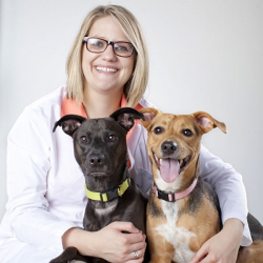 A Minnesota native, Dr. Cosimini joined Cedar Pet Clinic Lake Elmo with a particular interest in dermatology and dentistry. He appreciates the wide variety of work that general practice has to offer. His early interest in biology and veterinary medicine was spurred by a wide variety of pets... birds, amphibians, reptiles and mammals. Outside of work, Dr. Cosimini enjoys art and photography; his cat Cimorene is a frequent subject.